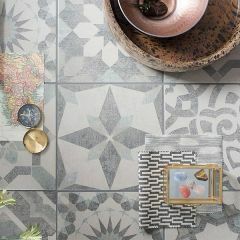 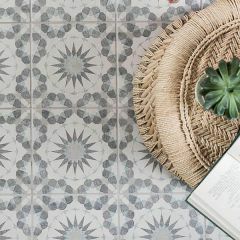 The eclectic Odyssey tiles offer something for all tastes and is arranged into four ranges: Primo, Grande, Tapestry and the all new Mezzo range. 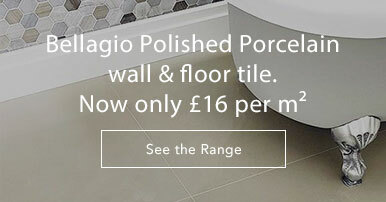 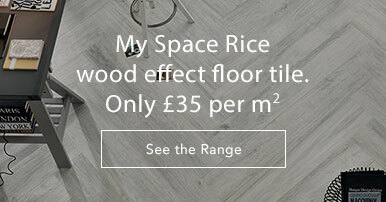 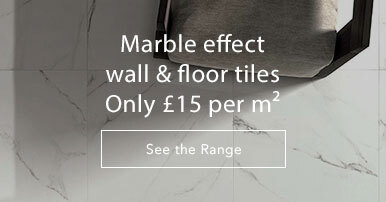 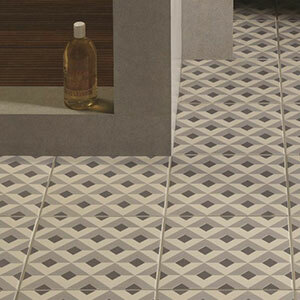 Primo tiles are 15.1 x 15.1cm in size. 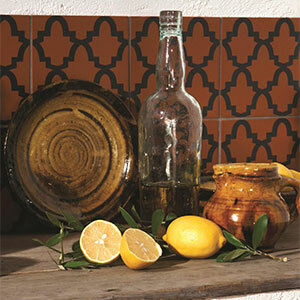 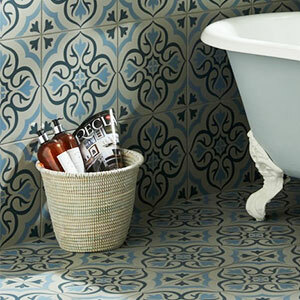 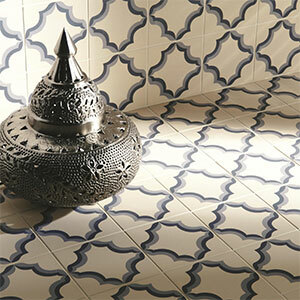 Each tile is a unique work of art, being hand-finished by skilled craftsmen. 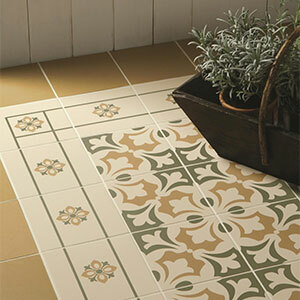 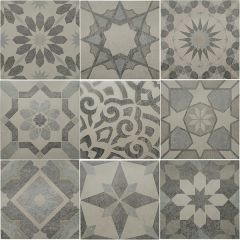 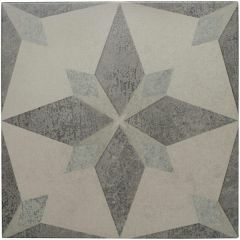 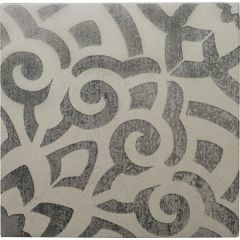 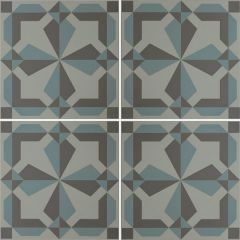 These tiles are made to order especially for your requirements. 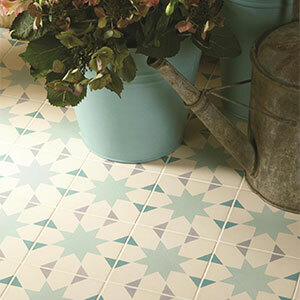 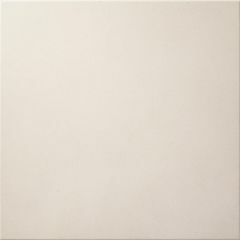 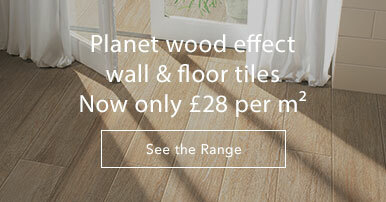 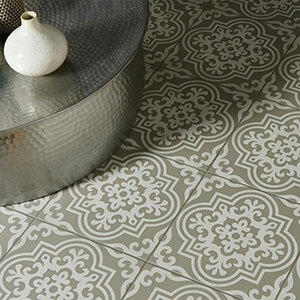 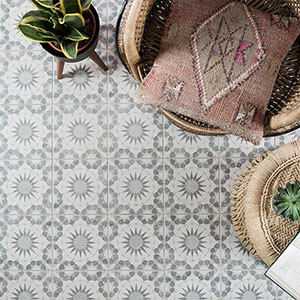 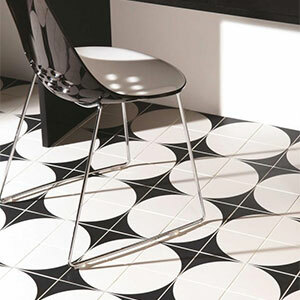 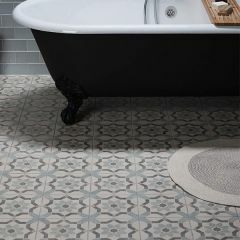 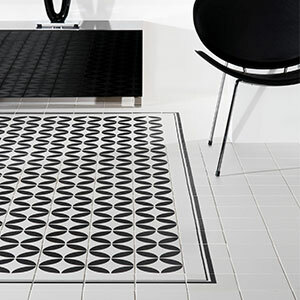 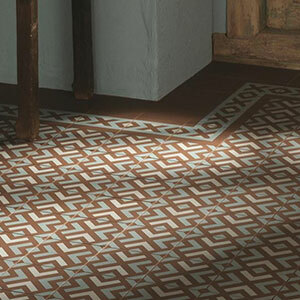 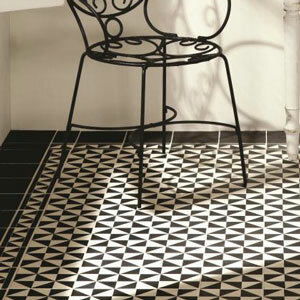 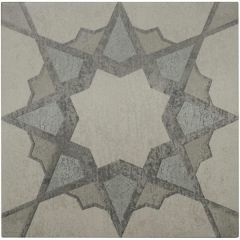 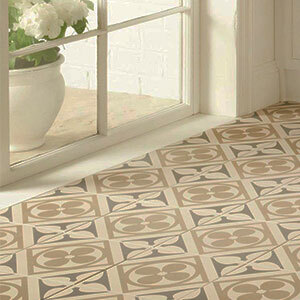 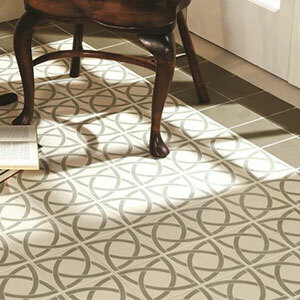 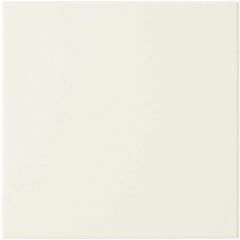 Odyssey Grande is a range of larger 29.8 x 29.8cm floor tiles. 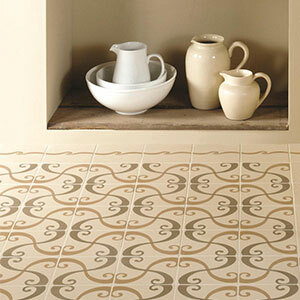 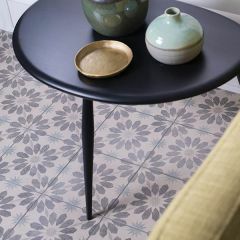 The designs range from a simple floral corner to complex interwining patterns. 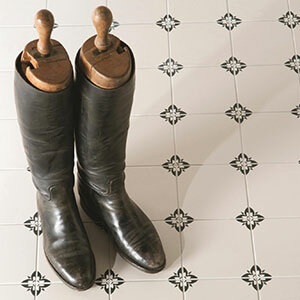 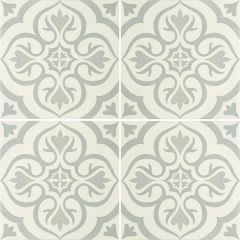 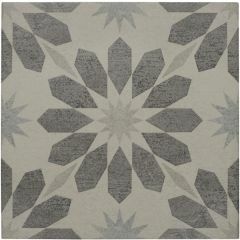 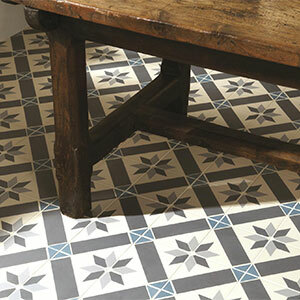 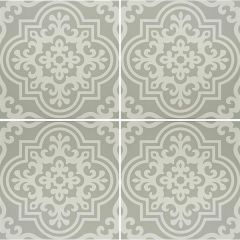 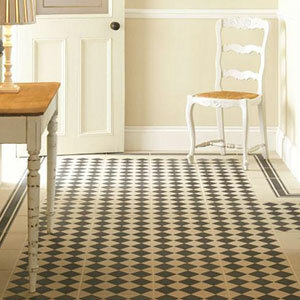 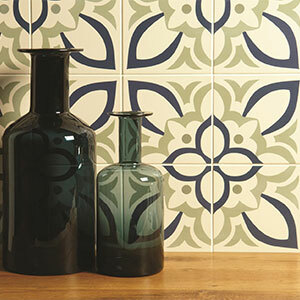 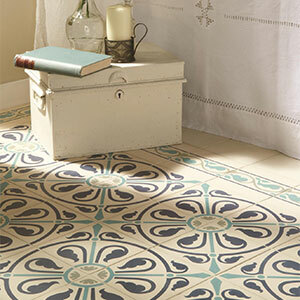 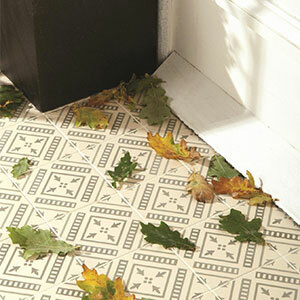 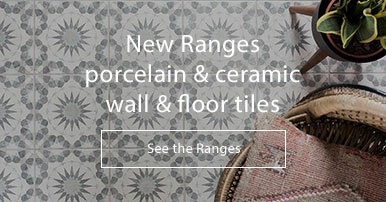 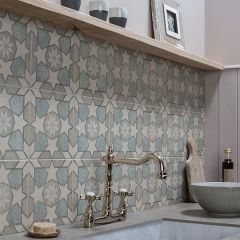 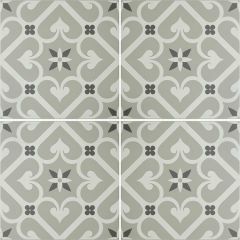 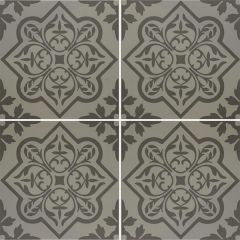 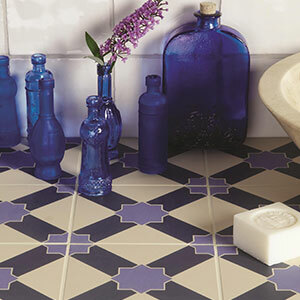 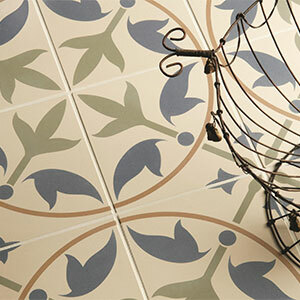 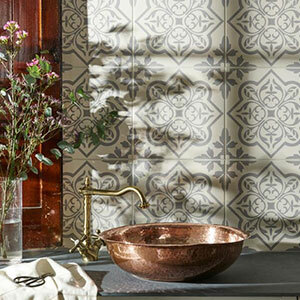 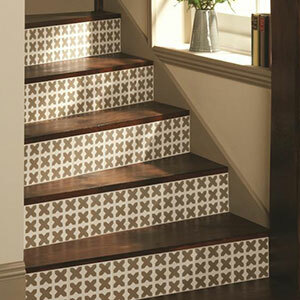 Popular designs are Epoque and Knightshayes - they will look charming in both modern and traditional settings. 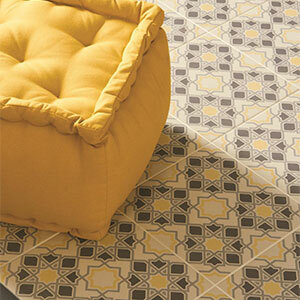 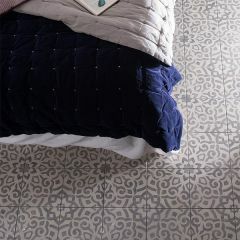 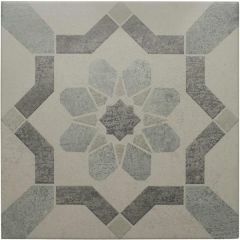 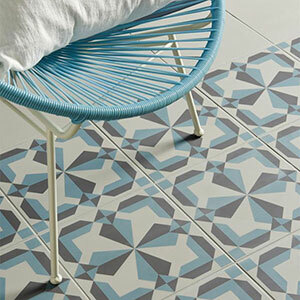 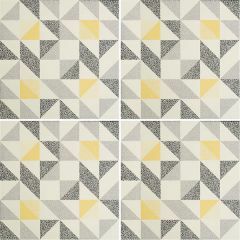 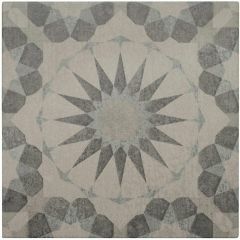 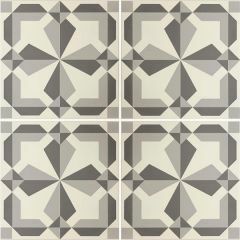 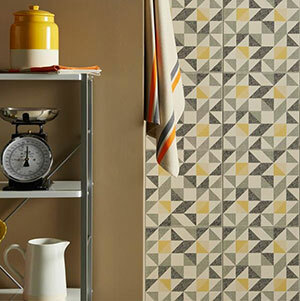 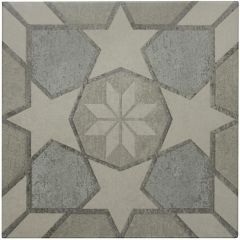 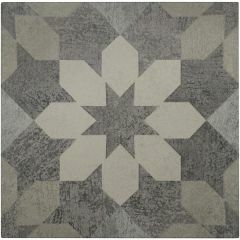 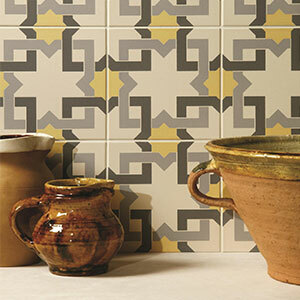 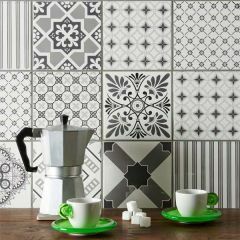 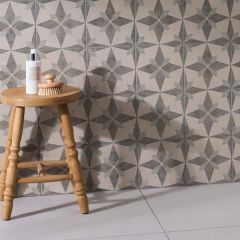 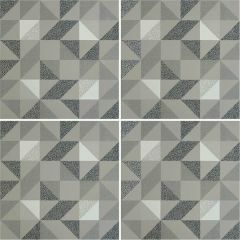 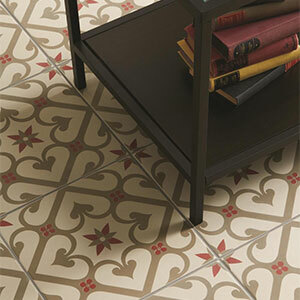 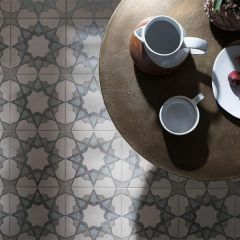 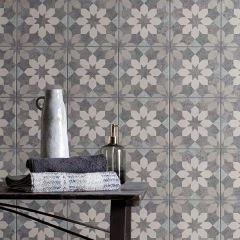 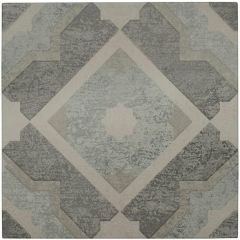 In addition there is the Tapestry collection of 15.2 x 15.2cm wall tiles, created to resemble a patchwork effect. 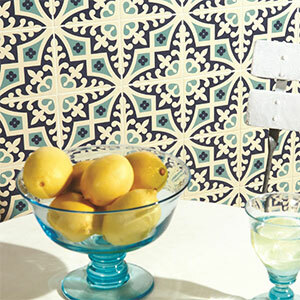 The coordinating designs feature shades of blue on a white background for a true continental feel. 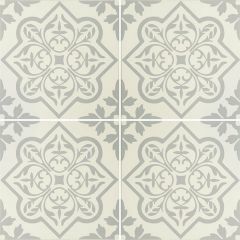 Alternatively there is a grey on white version, allowing for the addition of choice colours elsewhere. 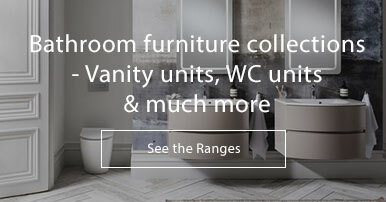 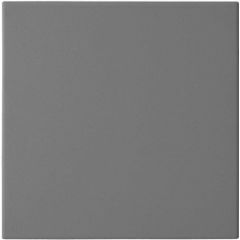 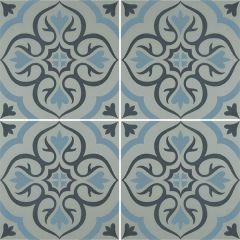 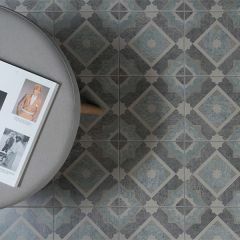 The enhanced range now includes Odyssey Mezzo - the new 20 x 20cm format of retro-inspired designs on a trendy duck egg blue and grey colour palette.